Virat Kohli and Anushka Sharma, one of Bollywood's most favorite pairs and they always remain in discussions. Nearly a year has passed since Viruska's marriage has held in Italy .Now they are all set to give fans Good News. Yes Anushka Sharma may pregnant .Recently; some photos of Anushka have been viral, after seeing these pics the speculation is rift that Anushka is pregnant. Anushka's film 'Sui Thaaga' has been released in the month of September, but due to any illness, Anushka could not take much part in the promotion of this film. After this Anushka's film Zero's trailer was released, due to which she once again came to the headlines. Meanwhile, some photos of Anushka Sharma are getting viral and Anushka Sharma is seen in these viral photos showing bay bump. In pictures, you can see Anushka's belly appears to have turned slightly outwards and she is being persuaded pregnant. Although Anushka Sharma has not officially confirmed it on her own, but at this time it is spreading on the internet as a fire that Viruska are going to welcome a new member in the family. 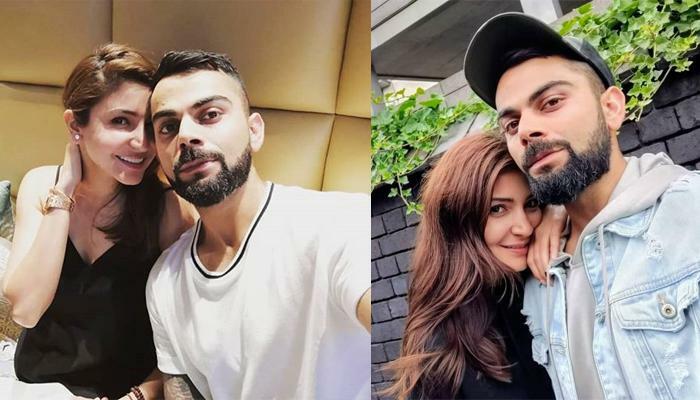 We wish Virat Kohli and Anushka Sharma as soon as possible confirm the Good news.